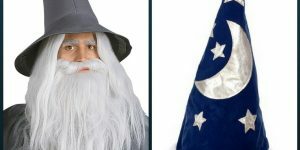 If you are looking for the perfect shoes or boots to go with a Halloween, cosplay or historical period costume, Funtasma offers a wide variety for men, women and children. 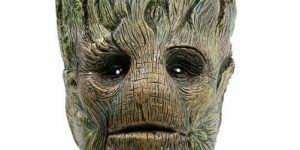 Here we take a look at some Funtasma shoes and boots for your retro costume that will really make it complete. Cinderella costume? Look no further! 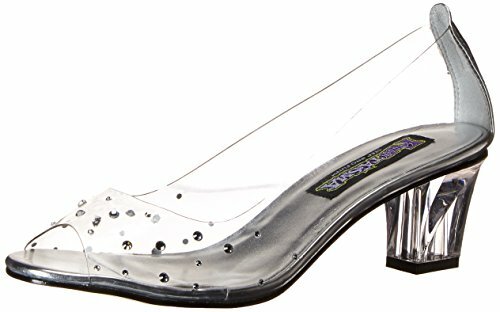 The Funtasma Women's Crystal-100 Slide Pump makes the perfect "glass slipper" for a Cinderella costume. Available in sizes 6 through 12, this shoe is clear with shiny sequins. Has a rubber sole with a heel height of 2 inches. Elegant and stylish, you'll feel like a real princess wearing these! 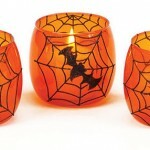 Looking for something to go with an historical Victorian costume or perhaps something with a Steampunk flare? 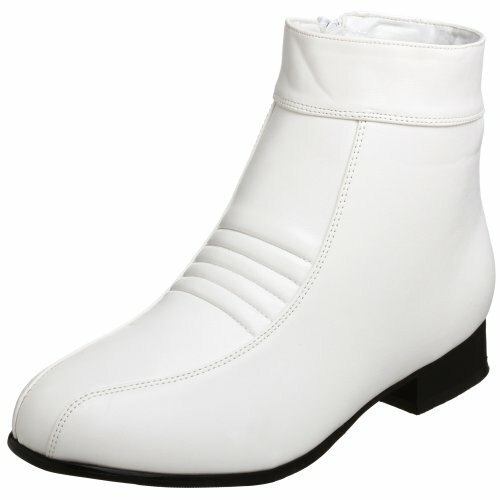 These boots are two toned, with black on the toe section and heel, with the rest being white. 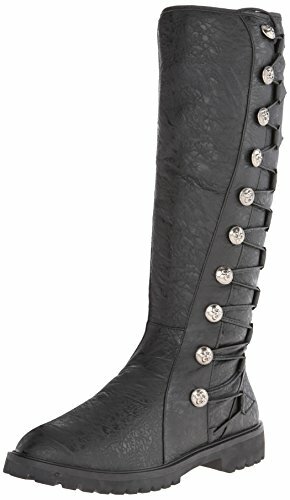 Funtasma Women's Victorian-123 Boots feature a faux button side with black stitching details. Man made with a synthetic sole and heel measures 2.25 inches. The Funtasma Women's Victorian-35 Boot is available in sizes 6 through 12, these boots come in black, cream, brown and black polyurethane. Boots are 100% synthetic with a rubber sole and a heel height of 2.5 inches. 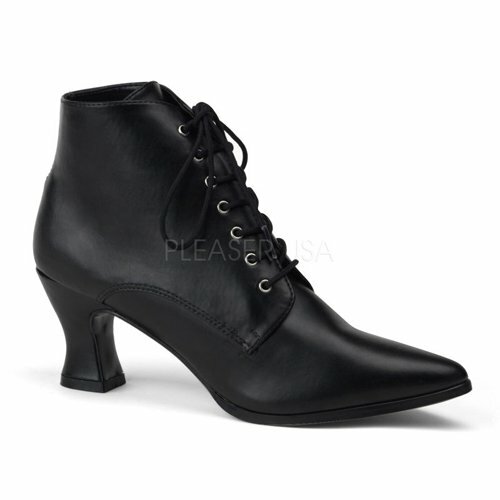 This is a lace-up shoe with narrow toes and modest heels. 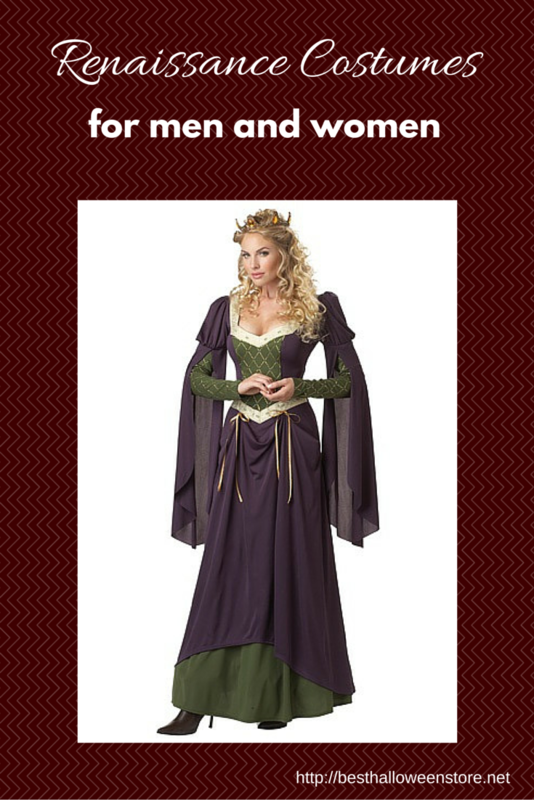 Makes the perfect compliment to period style clothing and costumes. 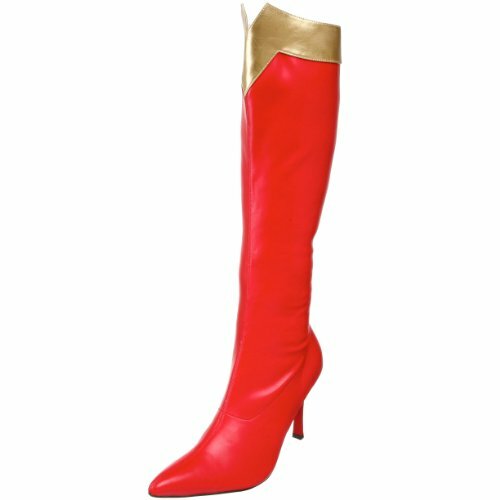 These Funtasma by Pleaser Women's Wonder-130 Knee-High Boots make the perfect footwear for costumes such as Wonder Woman or other female superheroes. Boots are available in bright red with gold accent at top opening, or a red-gold color with silver-gold accent at top opening. 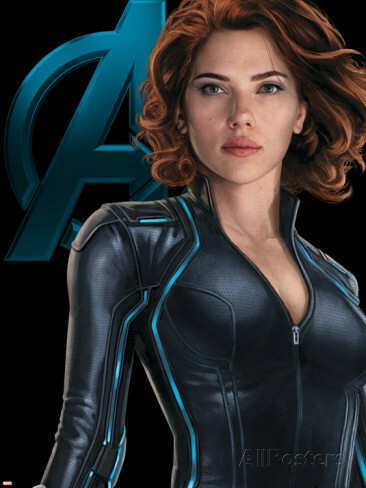 Stiletto heels measure 3 3/4 inches and are the perfect compliment to your superhero ensemble. 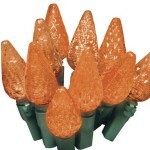 Features pointy toes, bold colors, and are made from stretchy patent polyurethane. Who could ever forget the famous ruby slippers Dorothy wore in The Wizard of Oz? These Funtasma by Pleaser Women's Schoolgirl-50 Mary Jane shoes are the perfect replica, made from synthetic material with a 2 inch heel. Available sizes range from 6 through 12. 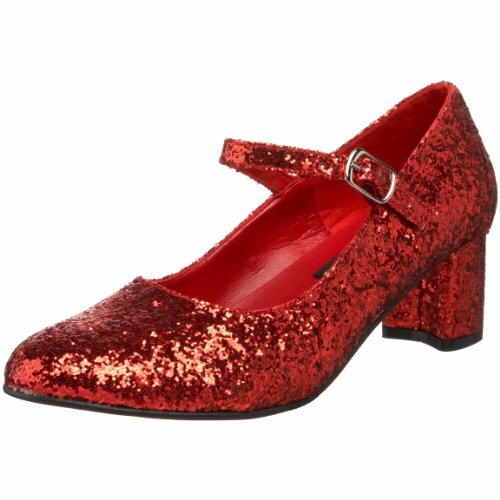 Shoes sparkle with red glitter, making you want to click them together and chant "There's no place like home!" Cute shoes feature a buckled strap. Take yourself back the era of the sixties go go dancers with these great boots. The Funtasma by Pleaser Women's Gogo-300 Boots comes in a size range from 5 through 16 and are available in a variety of colors including white, white patent, red, silver stretch, black patent, yellow stretch patent, gold stretch, black stretch, hot pink stretch patent, navy blue stretch patent, oranges stretch patent, purple stretch patent, lime stretch patent, blue, baby blue stretch patent and several more color choices. Made from synthetic material with synthetic sole, the heel measures approximately 3 inches. 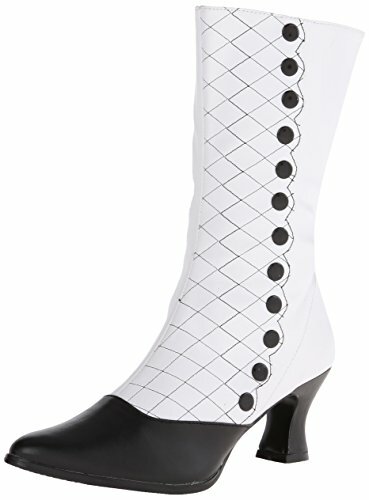 These retro style knee high boots feature a square toe and block heel for an authentic go go look. The Funtasma by Pleaser Women's Platform Mary Jane adds the perfect touch to any disco or retro costume. 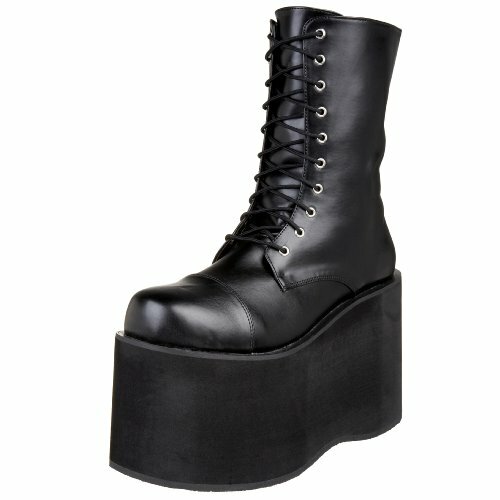 Made from synthetic materials, this shoe has a one-inch platform and a 3 3/4 inch heel. Available in whole sizes 6 through 14 and comes in colors black patent, blank polyurethane, red patent, white patent and black glitter. 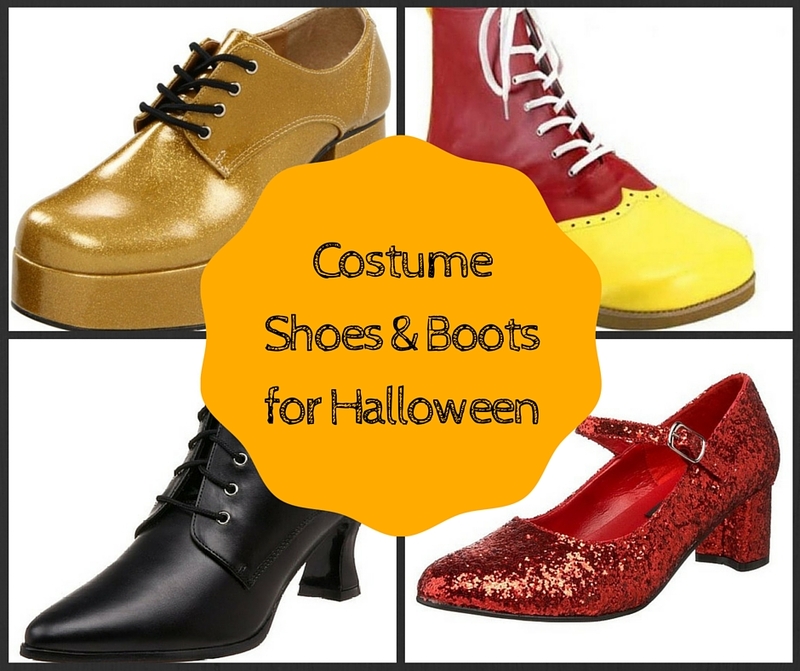 Great shoes that will make your costume really funky and fun. These Funtasma by Pleaser Women's Halloween SADDLE-50 shoes are man made from synthetic materials and have a 3/4 inch heel. Available in sizes 6 through 12 and in colors black and white and brown and white. 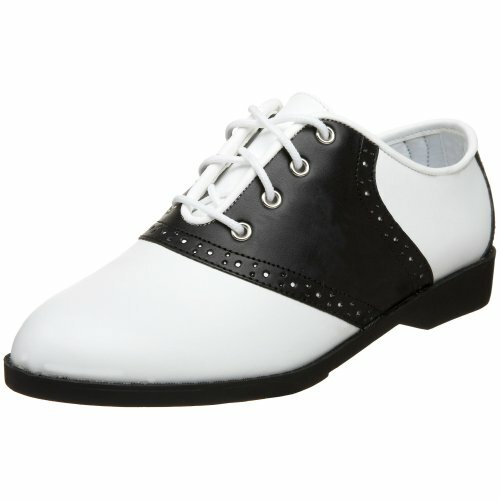 This is the classic style saddle shoe of the 1950's, back in the days of sock hops and poodle skirts. 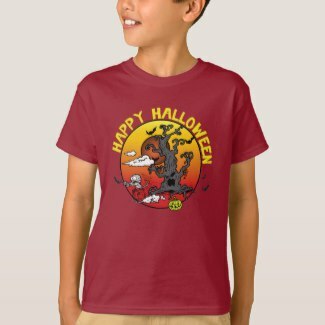 Perfect for retro costumes, or dressing up as someone from the Happy Days television show or Grease. Pair with a poodle skirt, ponytail and sweater for a great fifties look. 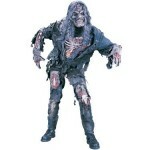 The Funtasma by Pleaser Men's Halloween Monster Boots make the perfect compliment to any Frankenstein monster costume. 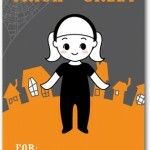 Comes in sizes ranging from small to extra large. Boots are man made from synthetic materials and are a lace up combat style boot with a novelty-height platform. Boots have a cap toe and instep zipper. Black in color with a super high platform. 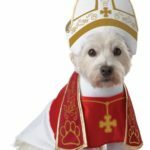 Dressing up as a Renaissance man? 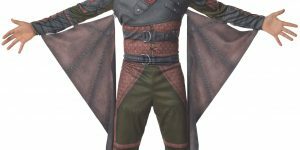 These Funtasma Men's Renaissance-50 Dress Boots are perfect for costumes such as Robin Hood, or any man from the Renaissance time period. 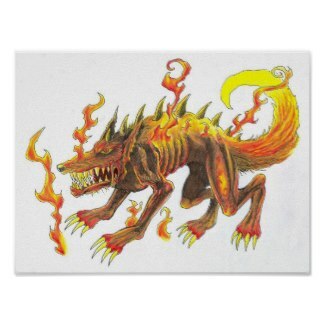 Makes a great addition to a costume for a Renaissance fair. Available in sizes 8 through 14. 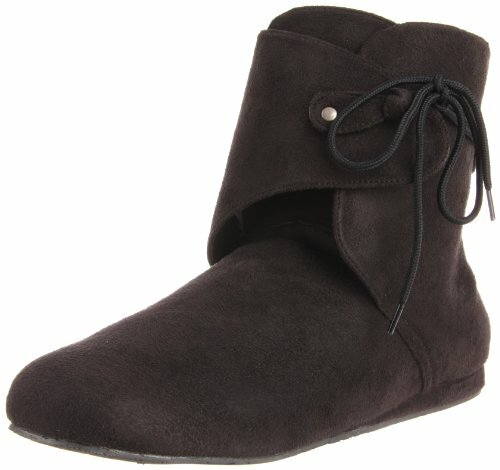 Boots feature a rubber sole, suede-like exterior, faux leather interior and a flap with an adjustable tie. Boots come in colors black and brown. 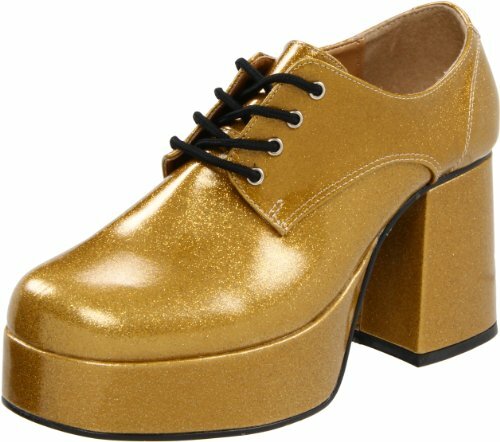 These Funtasma by Pleaser Men's Jazz-02 Platform Oxford shoes will make you feel like you've gone back in time to the disco era. Shoes have a thick platform heel and sole and a lace up vamp for a customized fit. 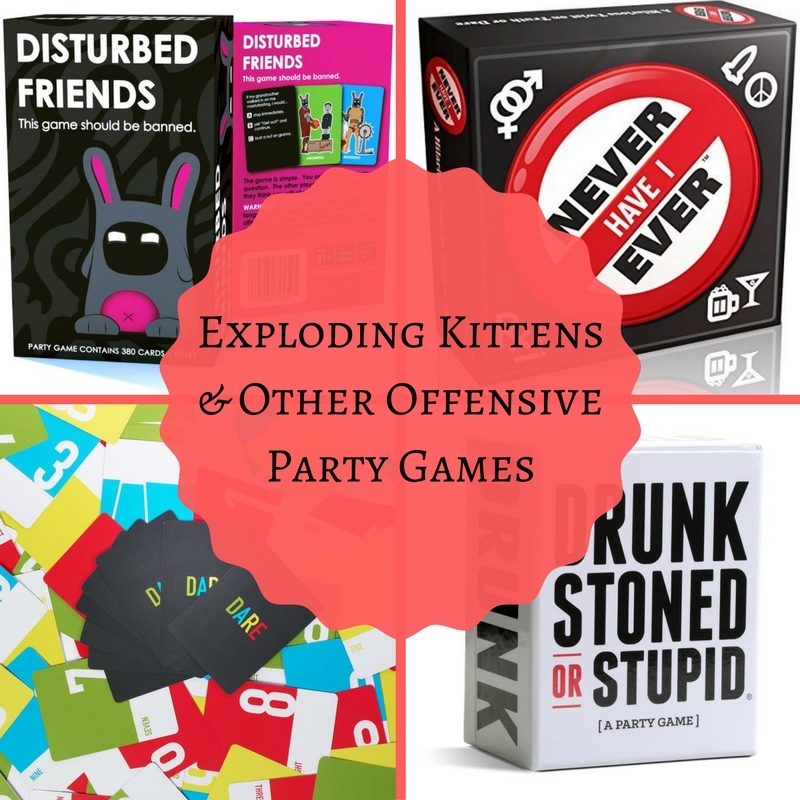 You'll be the funkiest cat in town with a fedora and leather pants and a vest. Shoes comes in several colors including gold glitter, black patent, white patent, pearlized silver, silver, zebra print, leopard print and green. From king of the disco scene to a funky jazz musician, these shoes will really complete your retro outfit. 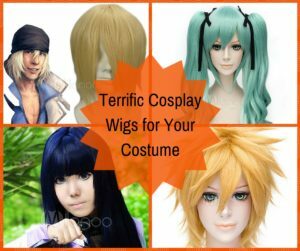 Plan on dressing up as Elvis? 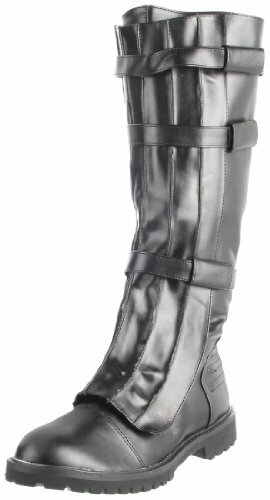 These Funtasma by Pleaser Men's Halloween Pimp-50 boots make the perfect footwear choice. Available in both black and white in sizes ranging from small to extra large. These shoes feature a shiny patent upper with a high platform sole and heel. 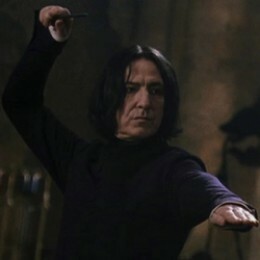 Works well with an Austin Powers costume too. 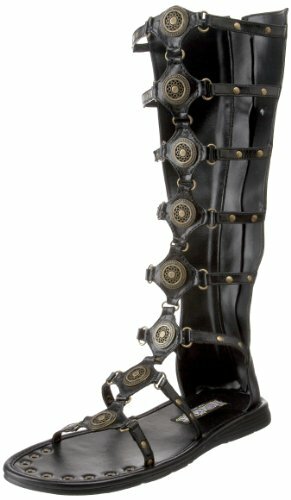 Channel your inner gladiator with these Funtasma by Pleaser Men's Halloween Roman-15 Boots. Available in sizes small to extra large and in colors brown and black. Shaft of shoes measures about 14 inches from arch, with a heel of 1/2 inch. Made from polyurethane with a synthetic sole. Straps with decorative metal accents make this shoe look authentic. Perfect for a Caesar costume or any other Roman character. This Funtasma Men's Gotham-109 Engineer Boot makes a great addition to any men's engineer, Victorian, or Steampunk costume. Made from black distressed polyurethane with a heel height of 1.5 inches. Shaft measures 15.5 inches from arch of foot. On one side, boots have a laced up effect with decorative buttons. The other side features a partial zipper to get the boot on and off easier. 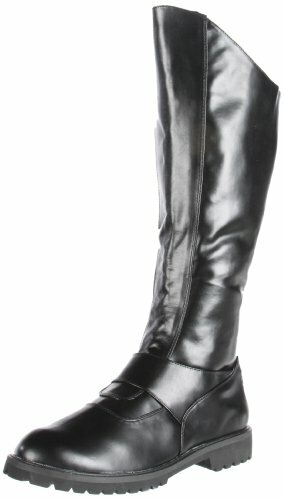 The Funtasma by Pleaser Men's Halloween Gotham-100 Boot is the perfect footwear choice for costumes such as Batman. Made from black polyurethane, this boot comes in sizes ranging from small to extra large. Boots come to the knees and feature an inner zipper. Boots come up slightly higher in the front than they do in the back. The Funtasma by Pleaser Men's Halloween Walker-130 boot is the perfect addition to any Jedi costume. Boots come in sizes small through extra large and are made from synthetic materials. Available in black or brown. Knee high boots feature a full zipper and three straps. 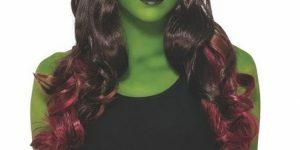 Perfect for portraying Jedis, or for superhero or Renaissance costumes. Get your pirate or Captain Jack Sparrow look on with these great boots. 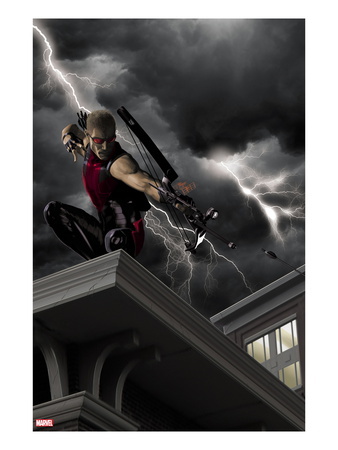 Made from synthetic materials, shaft measures 13.5 inches from arch. These Funtasma Men's Caribbean Combat Boots look great and come in either black distressed or brown distressed. Available in sizes 8 through 14. 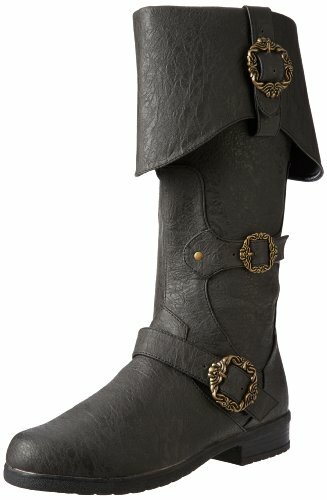 Boots feature a fold down cuff, ornate buckle detailing, inner side zipper and man-made lining. 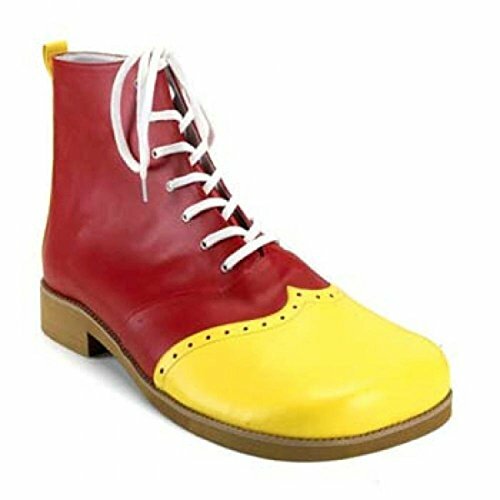 These Funtasma CLOWN-01 men's Boots are the classic clown shoes in red and yellow polyurethane. 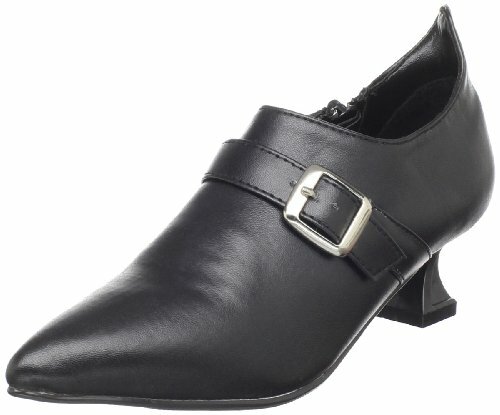 Big, goofy looking shoes have lace up front and a small heel. 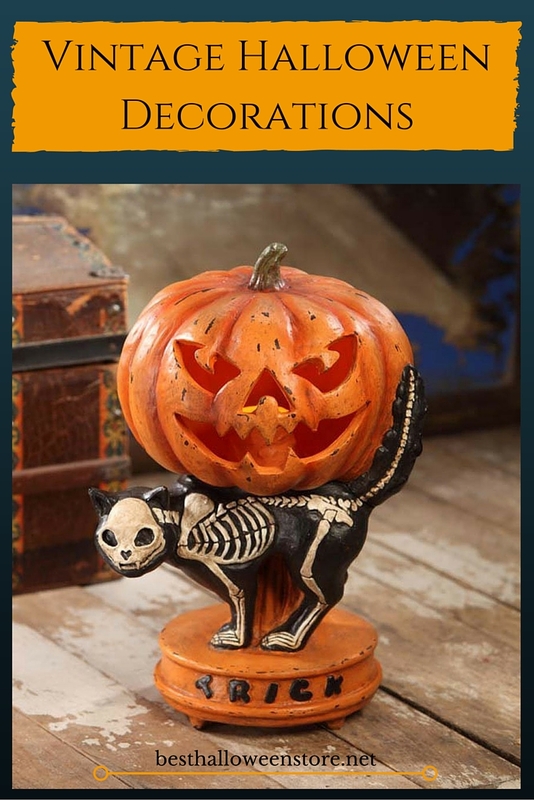 Makes the perfect accent for any clown costume. Finish off a great witch costume with these Funtasma Little Kid/Big Kid Witch Casual shoes. 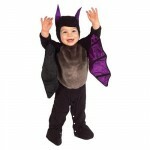 Comes in little kids' sizes small, medium and large. This is a pump with a curve shaped heel and narrow pointed toe. 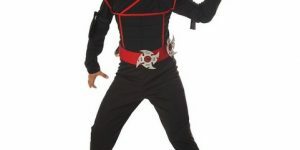 Has a small side zipper and an adjustable strap across the top with a small silver buckle. Shoe has a 1 and 3/4 inch heel. 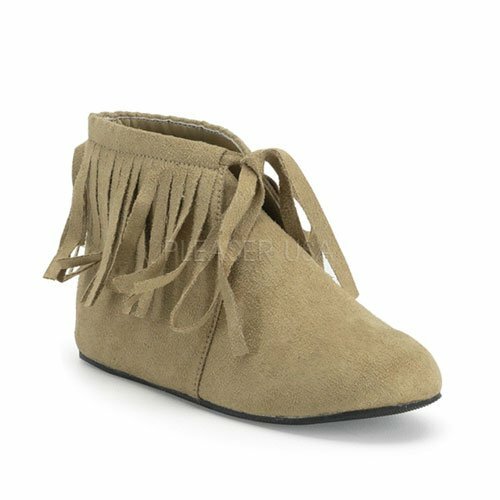 The Children's Microfiber Cute Indian Costume Moccasin Shoes by Funtasma make your Native American costume complete. Made from 100% synthetic microfiber, moccasins are available in both brown and tan colors. Available in sizes ranging from small to extra large. Moccasins reach ankle high and tie, with a row of fringe around the top.